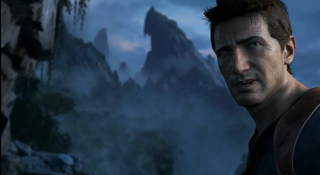 Sony's PlayStation Experience event in Las Vegas unveiled new footage for Uncharted 4. It's all realtime, running on the PlayStation 4, and it looks fantastic. Drake looks older, naturally. He kind of looks beat up, too—which is not surprising given the footage we saw earlier this year. And it seems like he's looking for someone. But who? We even saw Drake die during the demo—so you know it's live. In fact, Drake dies during a random "fall through the map" glitch during the demo. Surprising! And hey...apparently Drake has a brother!? Update: guess who voices Drake's brother? Why, none other than gaming's other prolific male voice actor, Troy Baker!